Here’s the map of where they’ll be working (PDF). Homeowners whose trees will be affected have been notified. The Certificate of Appropriateness that was granted to Duke is still in effect. They plan to begin on Tate and McIver “at the beginning of next week” (week of May 12). Smaller side streets like Carr and Rankin will be closed while Duke is working on them. City Forester Judson Clinton and Mike Cowhig of the Historic District program walked the route of the trimming with people from Duke. Several trees were marked for removal. They were inspected, and Mike says it is clear they need to come out because of their condition and/or location. Duke will be following ANSI pruning standards, for what that’s worth. Contact person for Duke is Jason Combs, Certified Arborist/Utility Specialist, 336 312-0256, click for email. 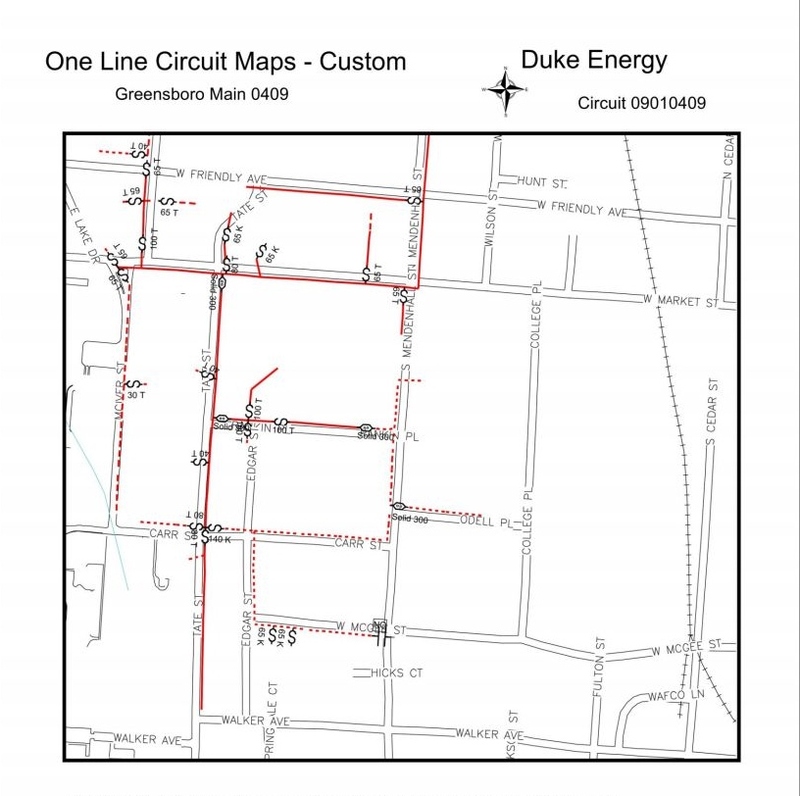 This entry was posted in Carr Street, Duke Energy, Edgar Street, McGee Street, Mendenhall Street, Rankin Place, Tate Street, Trees and tagged Duke Energy, Trees. Bookmark the permalink.